We present and evaluate an approach for finding local interest points in images based on the non-minima suppression of Gradient Vector Flow (GVF) magnitude. Based on the GVF’s properties it provides the approximate centers of blob-like structures or homogeneous structures confined by gradients of similar magnitude. It results in a scale and orientation invariant interest point detector, which is highly stable against noise and blur. These interest points outperform the state of the art detectors in various respects. 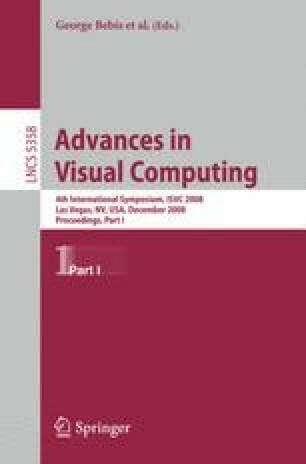 We show that our approach gives a dense and repeatable distribution of locations that are robust against affine transformations while they outperform state of the art techniques in robustness against lighting changes, noise, rotation and scale changes. Extensive evaluation is carried out using the Mikolajcyzk framework for interest point detector evaluation.